This book is based on the true story of 14 year old Manjiro who is shipwrecked off the coast of Japan while fishing with some others in 1841. They are eventually rescued off a tiny island by an American whaleboat. At that time, Japan refused to allow any boats from any other countries to land, and they told horrible stories about the barbarians from other places. Once taken away from Japan, you were never allowed to return. 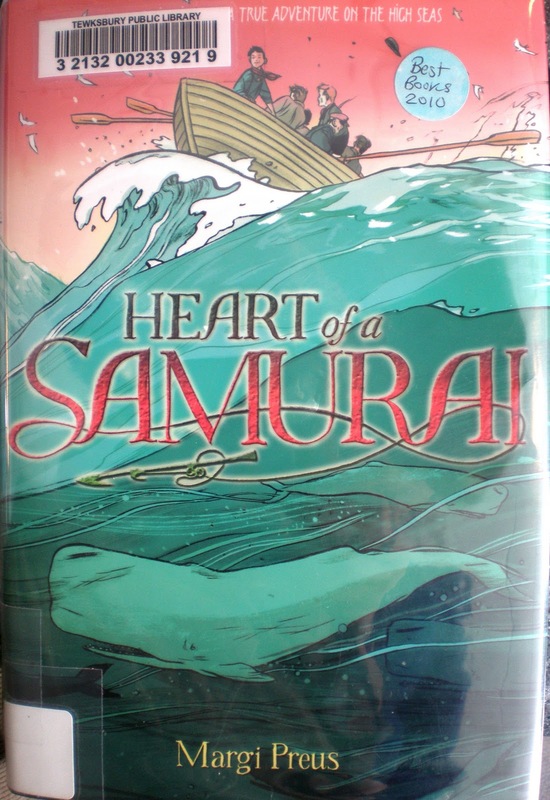 So Manjiro and his friends find themselves on a whaleboat, heading far far away from their homeland. Slowly, they learn a little of the language and ways of the sailors, but none embrace these new things like young Manjiro, who eventually develops a close relationship with the captain. When the captain offers to adopt Manjiro, renamed John Mung, and bring him home to Fairhaven, Massachusetts, Manjiro accepts to the horror of his friends. But Manjiro longs to explore and see these new things and places, and this is but the beginning of his adventures! Readers will enjoy learning all about Manjiro's struggles and travels in America and beyond, and it makes it all the better that this tale is a true one. But will Manjiro ever make it home to Japan again? A truly involving story.